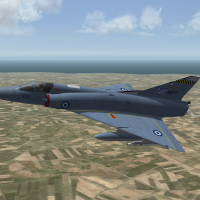 Fictional mod of the stock Mirage IIIC converting it to a fighter plane for the greek air force. YOU WILL NEED SF2:E AND SF2:I AT LEAST TO GET THIS PLANE RUNNING! 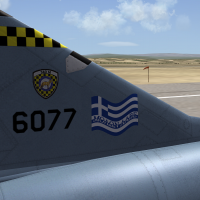 The tailstripe is based on one of Spinners' tailstripes, so for the tailstripe the credit goes to him.